An intuitive pedal packed with sounds. One of the more expensive options out there. 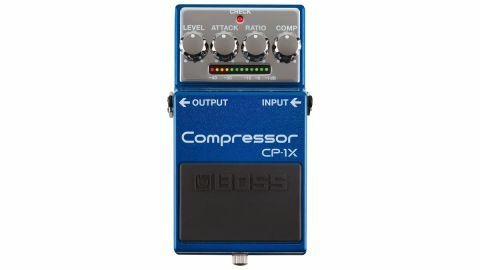 The Boss CP-1X is a digital multi-band compressor. With an internal charge pump to 18 volts, a normal nine-volt power supply will suffice for optimal operation and allow for more headroom. The ubiquity of Boss units means that the layout is intuitive, moreover, there are simply so many decent sounds available in this pedal that it’s hard to come unstuck. Within two minutes, you’ll have your rhythm parts ironed out and your tapping solos ringing as intended. We for one welcome our new robot overlords.